To me, this recipe was the one and only and as very young I didn’t understand how special it was. And then other people tried it, praised it and kept having another roll, and another one…they praised them with their mouths full. And that is how I understood that this flavor that I got used to was the best possible, and by no means average or ordinary. p.s. I’ll let you know a secret…the more you reheat it, the tastier it gets. These look so good. Love crock pot cooking….perfect recipe for this weekend. Pinned. Thanks. This sounds like great, I have a tip for the cabbage, If you cut deep all around the core and wrap and freeze. Take it out to thaw, no boiling required. the leaves fall off. I have softened the cabbage both ways. It takes a couple of days for the head of cabbage to freeze through. Then it takes a couple of days to thaw completely…..and while defrosting, it gives up a lot of water. so be prepared. 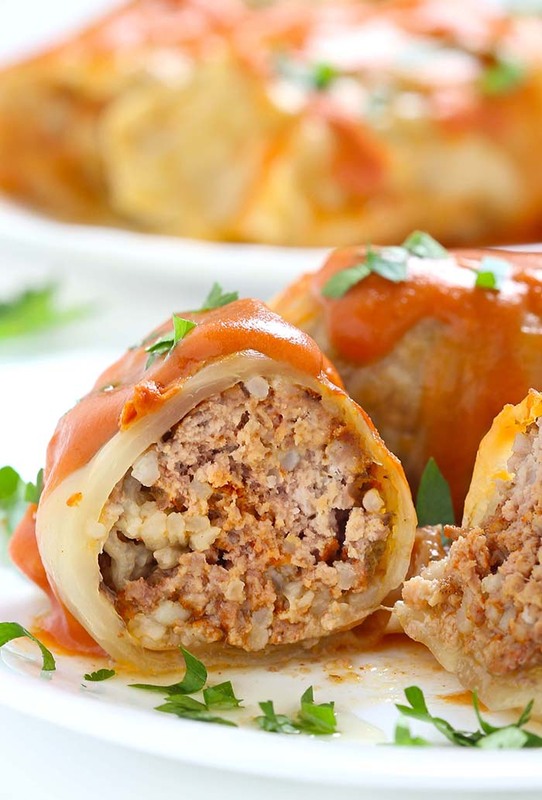 I make my cabbage rolls plainer, as my mom and grandmothers did…but basically the same way. BTW – we pour a bit of browned butter over the rolls when served. I microwave the cabbage. Cut out the core, hold the head under running water, into the core. Let as much water get in there and between the leaves. 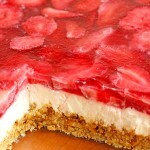 Place into a plastic bag, twist and seal tight and microwave for about 5 min. Take it out (very very hot) and let it steam for about 30 min in the bag(do not open bag). Then it will be cooled down and soft and pliable. Easy to roll. What an awesome idea! I’ve always boiled whole cored head in a giant pot…but I’m sure this steaming in the microwave will work just as well AND without heating up the kitchen so bad…thanks so much for sharing! Hurray! My mom always used tomato soup. Makes a nice gravy without added sugar. We always served it with sour cream. These look so amazing! I’ve never had stuffed cabbage before so I’ll have to try it out! These were so good, love cabbage cooked any way . I see it says to mix sauce and soup together, but I don’t see in the ingredients soup. I don’t like it with sauce, so I want to use all soup. Would anyone have an idea on how much soup to use? My grandmother was Polish and my grandfather from Ukraine. She just made these with cooked white rice mixed with hamberg. Add salt to taste when mixing. Stuff each cabbage and roll. Stack each on top of one another. then, the best part was adding salt pork cubed and sprinkled (find with lots of bacon meat attached). As it cooks, it melts and that is what adds the flavor. She used tomato soup only mixed with can of water. Depending on how much you make equals number of cans of soup/water mixture. As you cook, add more water to keep top of cabbage covered and moist. 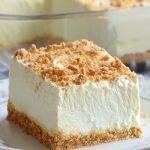 Try to make at least a day advance, as they are better the next day and day after that. We always had these at Easter. Good luck! Attempting but No ground pork (didn’t feel or smell right coming from freezer). Only making for 1, me. First attempt. t has to taste better than the store bought. Slovak from western Pa. Sounds delicious, but wondering what time I would have to get up to prepare the cabbage rolls and have them in the crock pot in order to cook for 7-9 hrs. Would like to try them though. 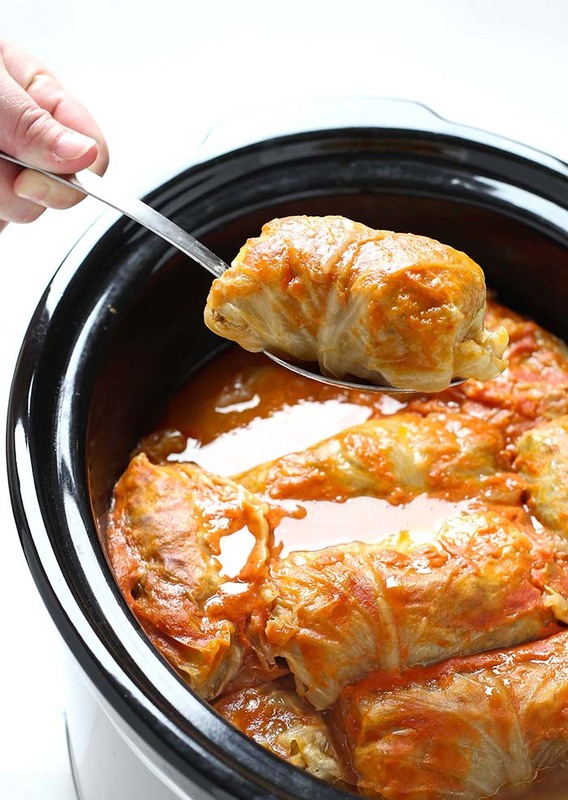 You can always prepare the stuffed cabbage the day before, keep in the fridge overnight, put in the crockpot the next day when you would had the sauce or tomato soup and cook. Enjoy. We just made a similar recipe for Easter and I prepared the cabbage rolls the night before came out perfect. My word! Just how large are those Brussels sprouts? 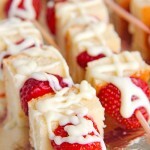 I made these on Sunday and they were fabulous! 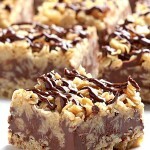 So easy to make, but I would probably only use 1/2 Cup of rice the next time I make them. These cabbage rolls were the same that my Mom used to make when I was a child. Will definitely again and again. I made these yesterday. I subbed brown rice and used turkey sausage in place of the pork and they are amazing!!! Thank you!